AltNewsMedia has been investigating the brutal murder of UK citizen Alan Henning who was beheaded by “Jihadi John” aka Mohammed Emwazi in Syria. 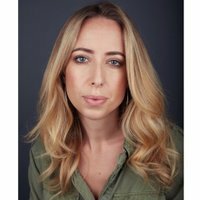 In particular AltNewsMedia has been scrutinising the role of BBC film maker Catrin Nye in events leading up to that notorious killing. 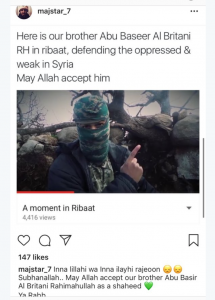 Catrin Nye is reputed to have been making a documentary following a Jihad group from Leicester led by someone using the name MajStar fronting a convoy delivering aid to “Syrian children”. They were driving a British ambulance loaded with medical supplies through Turkey into Syria. The driver of the convoy was Alan Henning. Catrin Nye travelled with them until the Syrian border where she stopped but the others then went across the border. Did Nye (and therefore the BBC) discuss Alan Henning going further on that fatal journey? Why did she and her BBC crew stop at this point but Mr Henning but others go on? Did she advise him to follow her example and not go any further? Was she aware that “Majstar” who led the convoy eulogised Al Queda terrorists? 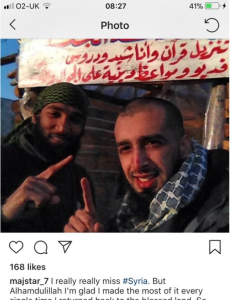 Why in all her reports on the topic did she never mention the jihad links of “Rochdale 4 Syria”, or the local jihadi connections of MajStar, or enquire why he made repeated trips back to the jihad controlled warzone in the years after Henning was killed? That was in 2013. When Alan Henning was captured there was radio silence from the media because reporting on his capture would apparently endanger him. The documentary itself was never released. Henning was beheaded and nobody has asked Catrin Nye why she/BBC had been involved in escorting Henning to the edge of a jihad warzone. Until now. 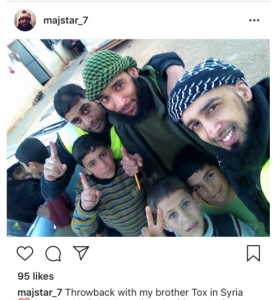 Despite apparently being held hostage by jihadis in Syria, MajStar has since made several return trips back into Syria. It is a curiousity how someone claiming to be have been held hostage by deadly terrorists who beheaded their close traveling companion kept going back several times. MajStar posted this eulogy for an Al Qaeda terrorist who died in a suicide attack in Syria. Abu Baseer (real name: Lucas Kinney) was the son of a London based film producer who made Braveheart, Indiana Jones and the Last Crusade and other blockbusters. Abu Baseer was interviewed by western journalists from the front line and said he was planning to be a suicide attacker. An examination of MajStar’s Instagram account raises further grave questions. 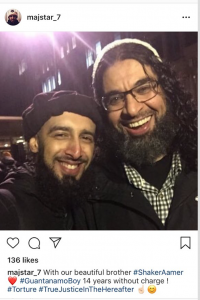 Here he is pictured with Shaker Aamer. Aamer was held at Guantanamo Bay for 13 years before release. This was taken the year after the killing of Alan Henning. 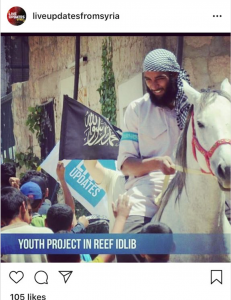 Here is another picture of his friend Tox, using jihad imagery (white horse of jihad) and jihad flags. If a Westerner asks, Islamists say “it’s just a horse!” and show you a picture of the Queen on a white horse Then if asked about the flags, they say “it’s just an Islamic prayer”, are you islamophobic? Then they will show a flag of St George and say what’s the difference? But AltNewsMedia is informed that Muslims all know what this signifies. 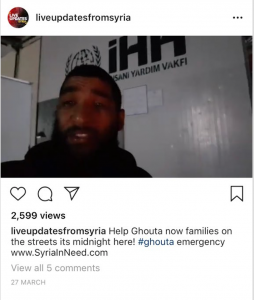 AltNewsMedia asks if it is possible that MajStar and his associates deliberately took Henning into Syria, thinking the British government would pay £££ Millions in ransom to help the Jihadis. Other governments have paid £££ millions to have similar hostages released but UK PM David Cameron refused. So was Alan Henning used for that purpose and did it then backfire? Have MajStar and his associates already been raided by UK anti-terror police? They match this description precisely. There is very limited reporting on MajStar in the UK media. But it’s the dark tale of his working relationship with the BBC that has been brushed under the carpet and it is that which AltNewsMedia now brings to your attention. Did no one at the BBC question his bona fides? Did no one at the BBC check his passport? AltNewsMedia has contacted Catrin Nye seeking her answers to a series of questions but has received no response to date. TOMMY ROBINSON AND JOHN SWEENEY – A VIEW FROM ISRAEL!